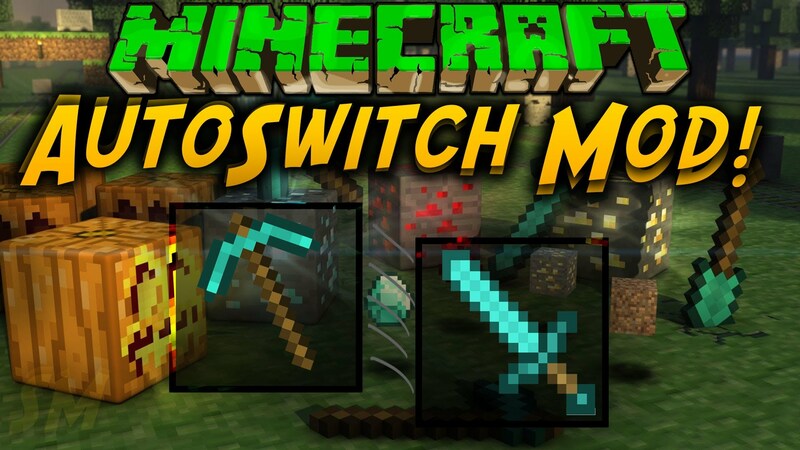 AutoSwitch automatically switches to the correct tool when mining a block and uses the correct weapon when attacking a mob or a player. It will also switch back to your previous item when you are done mining or attacking a mob, useful for building and going on mining trips. AutoSwitch won’t just pick the fastest tool, it also takes into account other factors such as enchantments. You can turn AutoSwitch off and on using the F10 key. If you don’t like F10, you can change it to something else in the options window.